While it is kinda crazy postcard pretty, the area’s worth visiting even for those of us who don’t look like we just stumbled out of Instagram. Hightail it here when you’re ready to learn more about American history, and then wash it down with good food and better whiskey (this is Tennessee, after all). Here’s how to go about it. 1. Take in the view from the Double Arch Bridge. If you’re really into architecture and engineering, you probably know about the Double Arch Bridge, which is near the northern terminus of the historic 444-mile Natchez Trace Parkway. That’s because it was the first bridge in the US built from segments of concrete. Only, unlike probably every other bridge you’ve ever admired, the arches aren’t symmetrical. Instead, they’re designed to flow with the rolling hills of the Tennessee countryside. There are two great vantage points to take in said countryside: The first is the pull-off just north of the bridge, called Birdsong Hollow, which lets you see Franklin from some 150 feet above the valley. Or drive over the bridge and then swoop down, where there’s a pull-off at ground level — and you can see those asymmetrical arches up close. 2. Cruise the Natchez Trace Parkway. From the aforementioned bridge, you can set out on a 444-mile drive (car, motorcycle, or bicycle) all the way to Natchez, Mississippi…or you can just travel the section around Franklin and Leiper’s Fork. Either way, the rewards are plentiful when it comes to unspoiled scenery. 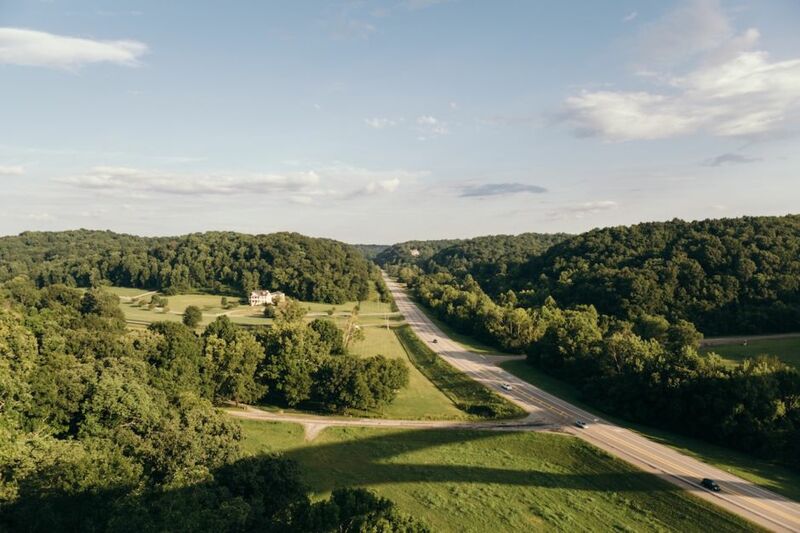 The Natchez Trace Parkway is a two-lane road managed by the National Park Service that documents tons of important junctures in America’s past, from Native American villages and Civil War-era inns (called “stands”) to African-American history, wildlife, and great scenery. The Trace is a designated bike route, which means bicycles are entitled to the full lane. Not only that, but commercial traffic is prohibited — yep, no semis, dump trucks, or buses to worry about. You can stop at pullouts every few miles and learn about what happened there, or you can pick and choose and opt for short, easy hikes, like the one to Jackson Falls or the Baker Bluff Overlook. 3. Experience Civil War history at Carnton. In 1864, located what at that time was behind the Confederate line, Carnton became a makeshift Civil War hospital for hundreds of injured and dying Confederate soldiers from the Battle of Franklin (and later, recovering veterans, too). You can witness this up close and personal when you take a guided tour of the mansion and self-guided tour of the grounds (which include a smokehouse, slave house, and garden). Tour leaders bring the history to life and paint a picture so vivid you’ll feel like you were there. While on the property, you can’t miss the McGavock Confederate Cemetery, which is the largest private military cemetery in the country — and the final resting place to some 1,500 Confederate soldiers. 4. 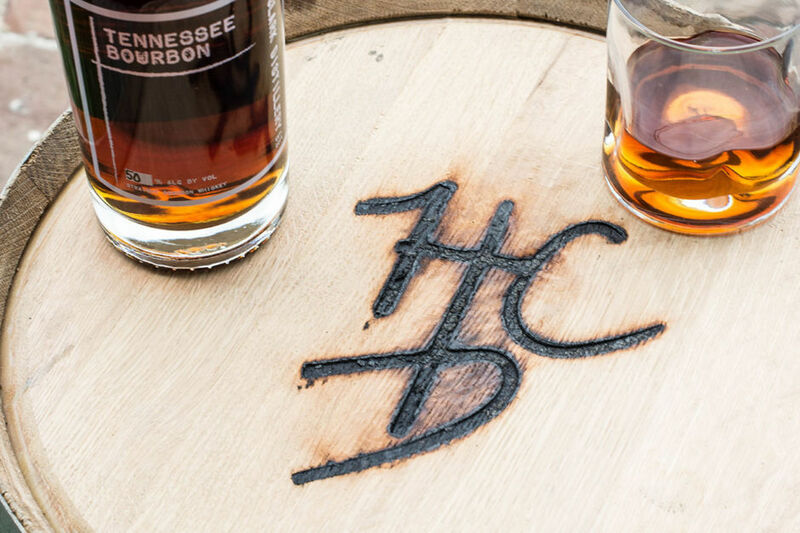 Drink whiskey with the man who made it possible. Seven days a week, you can take a free tour of H Clark Distillery, just south of Franklin. It opened in 2014, making it the first new legal distillery in the county in more than a century. This happened because the owner, Heath Clark — who’s also an attorney — helped get laws changed to permit distilling in the area. Now they’re bottling up gin, bourbon, and whiskey on the regular. Lots of other businesses are thankful to Clark for his work, and you can check out some of them via the Masters & Makers Trail. If you only have time for one stop, don’t miss Leiper’s Fork Distillery, with its classic truck out front and joke-telling tour guides inside. 5. 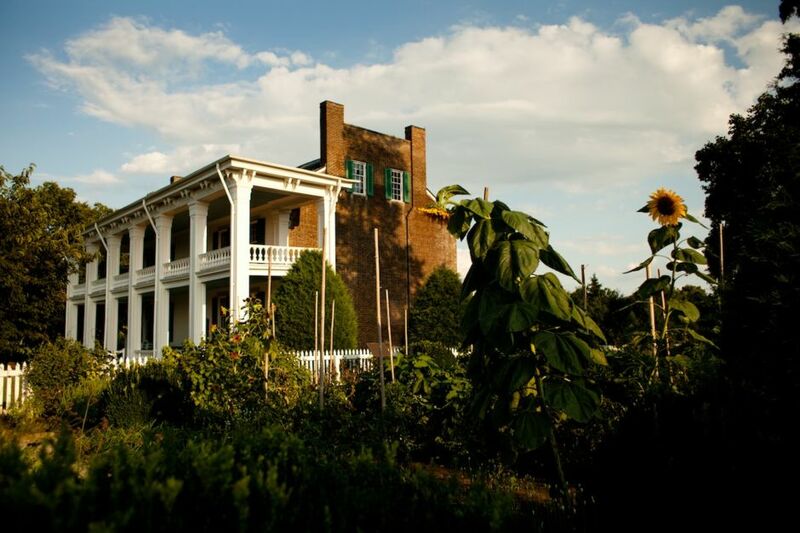 Go back in time with the small-town feel of Leiper’s Fork. Speaking of Leiper’s Fork — this is a tiny unincorporated town west of Franklin, with one main retail strip on Hillsboro Pike in its quaint “downtown.” But big country music stars call it home and tourists flock here for reasons that belie its tiny population. Case in point: Some businesses here have erected fire pits, porch swings, and benches, and owners offer free s’mores supplies for anyone who wants to roast marshmallows. And then there’s antique boutique Serenite Maison, which has a “pickin’ corner” where you can pick up an instrument and sit down and play. The whole idea is to get to know the locals rather than looking at your phone — the scenery’s not bad, either. 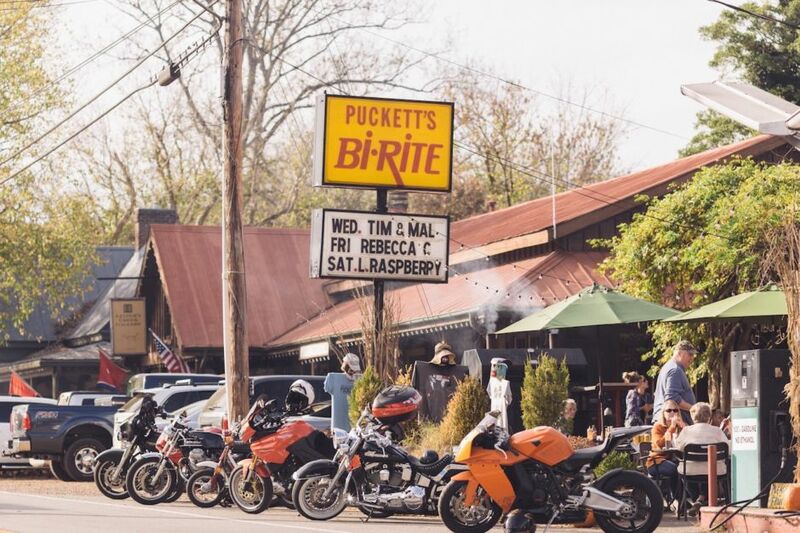 If you’re in town on a Thursday, head to Puckett’s Grocery for open mic night (plus a plate of fried chicken). 6. Catch a flick or a show at the restored 1937 Franklin Theatre. When you walk down Franklin’s Main Street, it isn’t hard to imagine what it was like a generation ago — it’s old-Hollywood-charming, with everything designed just right. The marquee on the Franklin Theatre is the beacon of this downtown landscape…and has been since 1937. Like many small movie theaters, it went through a period of neglect. In 2011, it was re-opened after an $8 million renovation, and it’s worth catching a movie or concert (lots of good local acts book here) — not just for the show, but to see the wallpaper, fabrics, and other features that have been brought back to their former, Depression-era glory. 7. Make an appointment for some retail therapy. Main Street in Franklin is seriously so chock-full of shopping opportunities you could spend a full day buying gifts for friends and family and treats for yourself. Favorites include Tin Cottage, with its kitchen and home decor items, and Hester & Cook, which stocks pretty paper and art. 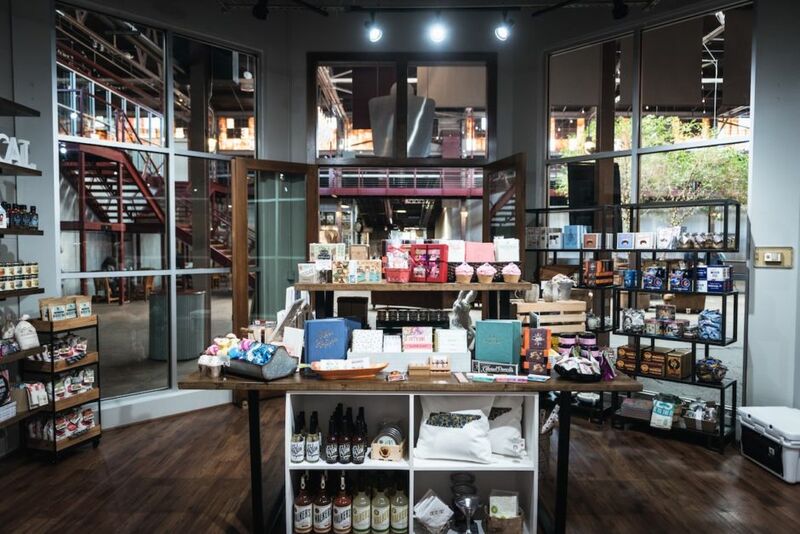 Nearby, The Factory at Franklin, a 1929 former Dortch Stove Works factory, houses tons of restaurants, live music venues, and stores, including a vinyl record shop and a Made in TN shop — all under one giant roof. When you’re making your trip itinerary, plan a “nothing-to-do” day to hit up the above spots. You’re in the hills now, and you’re allowed to slow down. 1This sweepstakes is solely sponsored by the Williamson County Convention and Visitors Bureau and is in no way sponsored or administered by Matador Network. This post is proudly produced in partnership with the Williamson County Convention and Visitors Bureau.